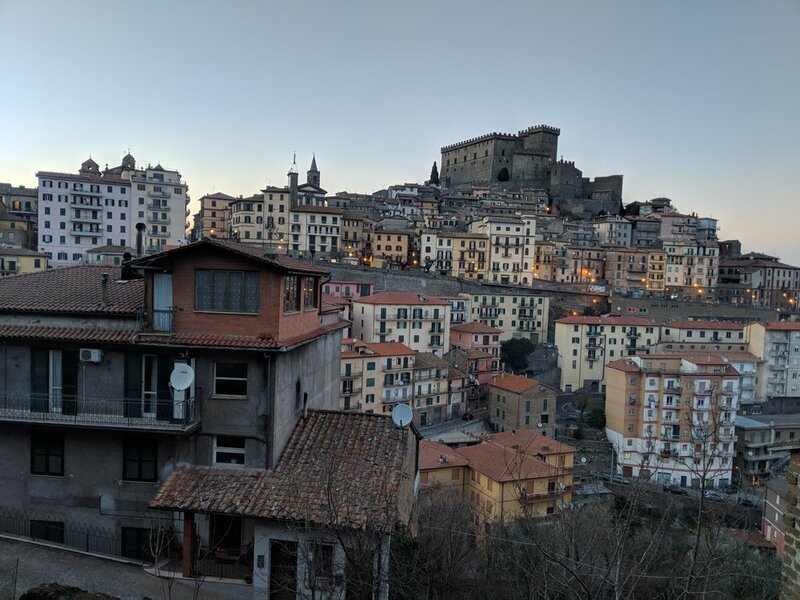 Italy’s Lazio region includes Rome; but most travelers aren't aware that there's lots to do and see outside of the big city. 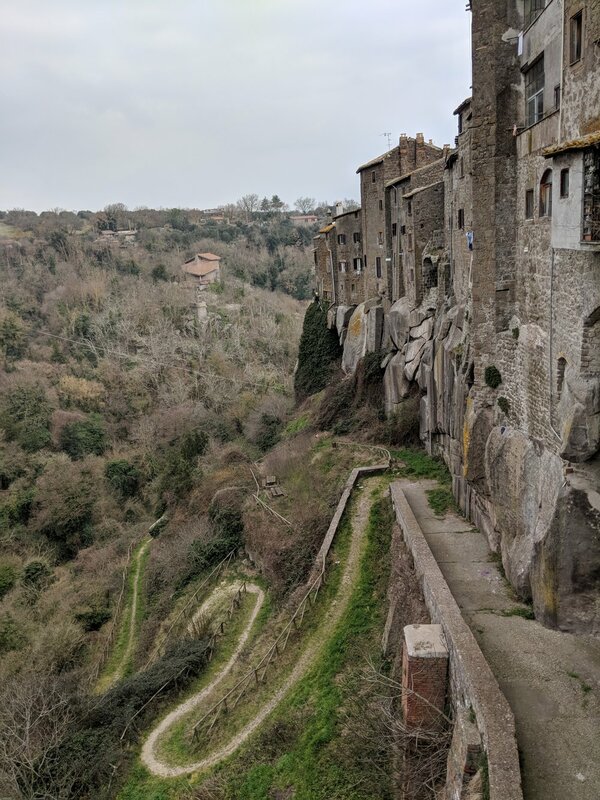 We spent a week in the north of Lazio, to immerse ourselves in the culture and history of a little hill town, and to explore some even smaller villages nearby. Soriano nel Cimino sits atop a large hill on the foot of Monte Cimino (hence the town’s surname). The town’s hilltop castle was built in the 13th century; it boasts views of the valley and nearby Mount Cimino. One room houses a display of dozens of antique phonograph devices spanning the history of music reproduction - from Victrolas to jukeboxes. And they’re still working! A museum docent offers demonstrations of many of the devices. The display room is a former chapel; a statue of the Virgin Mary presides over a 1960s jukebox (while we were there, she watched as we listened to The Beatles). From the 1800s until just a few decades ago the castle was used as a prison, and one wing still retains the stark solitary-confinement cells. Mount Cimino is part of a vast UNESCO World Heritage site, an old-growth beech tree forest. The area is also covered by chestnut trees, and chestnuts are an important part of Soriano’s culture and cuisine - among the town’s frequent festivals is an annual chestnut festival, celebrating this staple food of the region. We happened to be in town for Carnevale (like Mardi Gras, the week before Lent), an afternoon of revelry including large amounts of confetti, silly string, and throngs of people of all ages in costumes of all types. One of the locals we met described the steep slopes and winding stairways in town: “In Soriano, you’re always either going up or going down.” The only flat spot in the entire town is its central piazza, a bustling center for socializing and daily business (and, as mentioned, confetti-fueled festivals). On one side of the square, the twin bell towers of the Cathedral of Saint Nicholas ring out each hour; at 8 AM, noon, and 5 PM its bells compete with a wailing siren, a holdover from the town’s agrarian past. 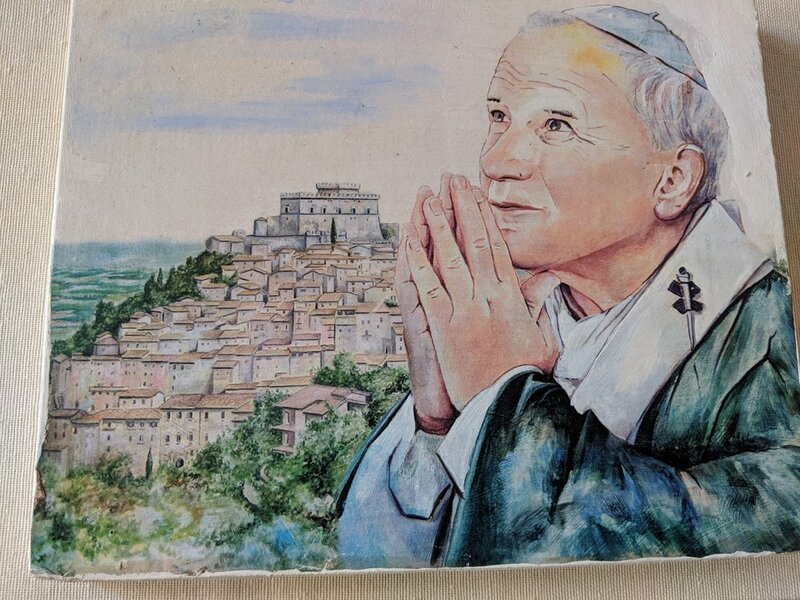 The cathedral holds relics of Pope John Paul II - a certificate shows that his blood was enshrined there in 2014, a point of religious pride to the locals ever since. The medieval walled town of Vitorchiano is flanked on two sides by sheer stone cliffs, which helped it resist superior military forces. The town prides itself on its historical devotion to Rome: In the face of opposition from hostile city states in the 13th century, Vitorchiano was singularly granted the right to bear the emblem “SPQR” - Senatus Populusque Romanus. The town’s gates and coats of arms still bears this emblem. The cliffs on which Vitorchiano are built are made of a volcanic stone called peperino. (Many towns in the region, including Soriano, are built on and from this stone.) This is the same type of stone from which the Moai statues of Easter Island are carved. In fact, thirty years ago a group of visitors from Easter Island visited Vitorchiano and carved a Moai statue, which today sits in a park overlooking the town’s western cliff. Orte, another medieval walled hill-town built in part with peperino, was an Etruscan city before being conquered by the Romans. Orte is famous for its ancient underground tunnels and caves, which were used through the ages for storage and irrigation, as a bath-house, and (in more recent history) as bomb shelters during WWII. 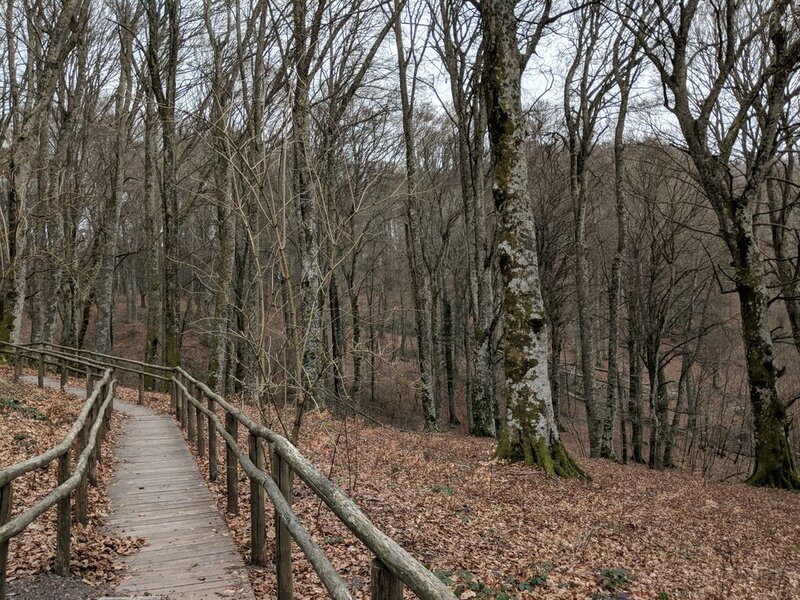 Just outside the town is the Bosco Sacro (“Sacred Woods”), more popularly known as the Parco dei Mostri - the Park of Monsters. 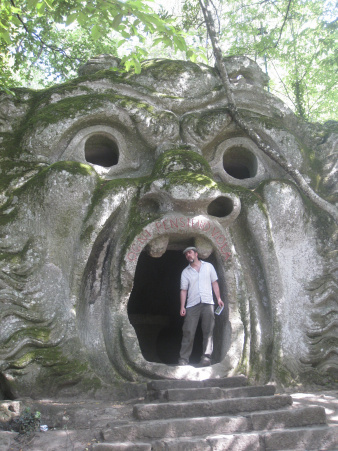 This is an open-air museum of several acres of woods, in which are dozens of huge, Renaissance-era stone sculptures, carved from the ubiquitous peperino stone. Dragons, giants, lions, and other fantastic creatures sit among the trees, waiting for visitors to discover and delight in them. 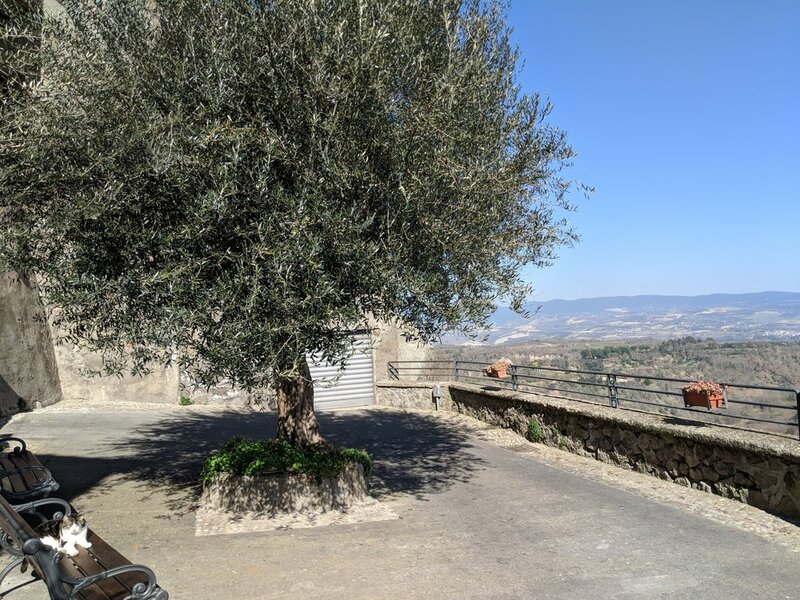 These are just a few of the locations near Soriano nel Cimino that we discovered on our trip; and this area is but one of many fascinating and beautiful parts of Lazio, if one is willing to venture out of the bustle of Rome and explore the little roads.